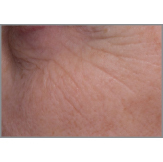 Bye Bye Lines Serum™ is rated 4.4 out of 5 by 227. This revolutionary, anti-aging miracle concentrate was developed with plastic surgeons to deliver 10 powerful clinical results to your skin in just 10 days! Infused with proprietary Drops of Light Optical Blurring Technology™ and powerful anti-aging peptides, caviar extract, sea water, hydrolyzed collagen and algae, the weightless wonder serum visibly erases the appearance of fine lines and wrinkles, plus improves the look of tone, texture, firmness, suppleness and elasticity. While deeply hydrating hyaluronic acid, argan oil and babassu oil restore moisture and aid skin barrier repair, vitamins A, C, E, B1, B2, B3, B5, B7, B9 and CoQ10 work synergistically with skin-brightening licorice root to restore the look of youthful vitality and radiance for your most beautiful complexion! Clinically shown to deliver 10 powerful anti-aging results in just 10 days! Apply in the A.M. and P.M. onto clean skin, underneath or in place of your moisturizer, for hydrated, firmer, younger, more radiant-looking skin. Wear on face, neck and décolleté for powerful results instantly and more dramatic results over time. Rated 5 out of 5 by CarolC from This serum works! I have tried every cosmetic treatment available and now I can finally say I have found a treatment that actually works! Rated 2 out of 5 by Halina from Bye bye lines Haven't noticed a difference since I started using it. Rated 4 out of 5 by DcSadie from Great texture I’ve been using this product for only a few weeks, but so far so good. I have a few seemingly incongruous problems- breakouts, hyperpigmentation, aging, dryness, oiliness. This product immediately improves surface texture, and it’s not too thick or too thin -goes on smoothly and absorbs quickly. It seems to discourage makeup from settling into fine lines - so I can cover up some of the above problems without creating new ones! Rated 5 out of 5 by Moncho from Great serum I’m so thrilled with product, I can see the results with a few weeks, definitely I will purchase again, and this company has the best costumer service, I contacted them after my purchase just to ask a simple question and they went beyond my expectations, Thank you so much helping me. Rated 5 out of 5 by vanfan from Great Product I bought this product about 3 weeks ago. I've been using it every morning and night. Like the feel and it appears to plump up wrinkles. Not sure what the results would be with long term use as I've only used it for 3 weeks. Rated 5 out of 5 by Sasaroni from Love this stuff! I received this as a free sample about 2 months ago, and was blown away by the amazing feeling it left on my skin. It was so buttery soft but not greasy. Needless to say I bought it soon after and have been using it ever since. I don’t think I’ve been using it long enough to see results on my fine lines...I’m just loving the way my skin feels! It’s definitely changed the texture of my skin for the better. Rated 5 out of 5 by YPsatx from Great Eye Serum Purschased twi bottles one for my daughter and one for me.....OMG this serum is fabulous! Rated 5 out of 5 by SAGG from Great eye cream Have used this daily for about 2 weeks, I can see a difference. the only complaint is I cannot figure out how to travel with it. I cannot seem to close the top by twisting, I did put some in a plastic bottle, and that did work ok. Rated 5 out of 5 by BeccaBrewski from Leaves you glowing! I’ve used several bottles of this now... and IT’s fantastic! I’m 45 and I still can have breakouts but my skin can be dry, but this serum is the perfect balance! It has a light, refreshing citrus scent and doesn’t leave your skin greasy. Absorbs right into the skin and leaves a glow even after you apply moisturizer on top! Rated 5 out of 5 by Sandy99 from Great product Great product! I was a little sceptivle but I love it! It works! Rated 5 out of 5 by KTKats from Best ever Never disappointed in your products! Works well, easy to use! Rated 1 out of 5 by IT customer 1 2 many from Bye bye lines It's a great product and I actually can say that I finished a bottle of which I've never done on anything before. It does seem to lessen the lines depending how deep they are. Rated 5 out of 5 by Audra C from Bye bye lines serum Love this serum. It smells like oranges but it’s not too strong. I use it after I wash my face & it feels amazing! Rated 5 out of 5 by Paypay from So smooth I absolutely love how smooth it makes your face feel and easily your makeup goes on. Rated 3 out of 5 by jgtpst from great, but didn’t last The small bottle was used up in no time... good product , but not a good value. I will not order again. Rated 5 out of 5 by Queen Debi from Lip serum This is the best ever. It has given me back my lips. My husband even noticed, and he never notices anything. I swear by this and all of the IT products. I will never use anything else. Thank you, Jamie for all these amazing products. Rated 5 out of 5 by Shsen from Love the serum, but... The customer service was outstanding. Had a small problem with one item, and it was taken care of in an instant with a friendly service person. Good to know in today’s market! Rated 5 out of 5 by TweetX2 from I can really tell a difference on my lines around my eyes and ch else! Rated 5 out of 5 by chickieone from my favorite go to serum I originally received this serum in a QVC TSV, used all of the product and forgot to order more. Went for a few months without, NEVER again. This serum delivers results. Rated 5 out of 5 by MagDee from Serum works This serum works. Only requires a dot amount for each section of the face; forehead, left cheek, right cheek, nose, chin, neck and declotte. Penetrates the skin and improves the skin. Rated 5 out of 5 by Granny Diane from Works well for me I am 74 years old and have facial nerve damage which leaves many bags and wrinkles but this product helps more than anything else I have tried. I am a believer in Bye Bye Lines. Rated 5 out of 5 by rubyshoesoz from Feels so nice on my face This serum is the best I've tried! It sinks into my face and smells terrific. I have been purchasing this for 2 years. Rated 5 out of 5 by 06purple18 from 50 years old and LOVE this product I have been using Bye Bye Lines Serum, instead of any other moisturizer, for approximately 6 months. At first, I used two "pumps" but soon realized the recommended one "pump" actually was enough. I thought I needed to feel it on my skin, when actually that was just a bad habit from lesser quality products. I get so many compliments on how smooth my skin is PLUS I'm 50 years old and no one guesses my age!!!! I don't use any other moisturizing product and am really bad at moisturizing at night. I have oily skin and have had no issues with break outs, shiny skin during the day, or trouble spreading foundation. LOVE this product! Rated 5 out of 5 by Tre3frog from Excellent! This is my favorite item in my makeup drawer. I use it before makeup in the morning and after cleansing my face at night before bed. It really helps diminish fine lines and my skin looks tighter and has a healthy glow. Please don't ever stop making this product! Rated 3 out of 5 by Angel71rn from Hate the price for product amount Love this serum...hate the price and amount. Did see results but can't afford a lotion that only last 2 week's!! Please super size this or put it in a different jar. I feel like Jamie does not read reviews. This has been the complaint from most reviews I see. Read complaints on qvc in regards to price for amount. I'm sure this would be 5 stars if she would listen to customers. Rated 4 out of 5 by kandice from SUPER SIZE IT!! I am in love with this product but it only lasts me 3 weeks. You say put it on face and neck twice a day, I put it on ONCE and I run out in 3 weeks. Very pricey for the amount needed so please super size the product so it is more cost effective. I absolutely love it!! The only reason for not the 5 stars because the product deserves 5 stars is the size of the product. Rated 5 out of 5 by Kathrync from Great product! I am always on a hunt for the best skincare product at the best price and think this is a winner! I've only been using it for two weeks, but am impressed by the difference I've already seen in my skin. The texture of my skin, my wrinkles and skintone have already improved. I've also been happily surprised that my pores are disappearing . Oh, and the price is reasonable, too. Try it! Rated 5 out of 5 by Chris44 from Great product This is my second bottle and it makes my skin feel so soft and the makeup goes on so good with no lines. Should I use Bye Bye Lines and then Secret Sauce or reverse that? I am brand new to the It cosmetics. I went to Ulta today and purchased bye bye redness, bye bye Foundation full coverage moisturizer, and bye bye undereye. What skincare products should I purchase and in what order do I apply those. I am unsure what order to put the products on. I use the confidence moisturizer cream, the 50 sunscreen, and primer. I was thinking of adding the bye bye lines. I use your celebrate foundation and bye bye undereye as well. thank you. Does Bye Bye Lines serum need to be applied both morning and night for best results? Or can I just use either morning or night? Is it safe to use in eye area? &nbsp;I use other It products &nbsp;and love them. I have always had acne-prone skin, and use a topical clindamycin gel. I usually put that directly on clean skin, then moisturize and apply make-up from there. Would I apply the Bye-Bye Lines serum before or after the clindamycin? Is Bye Bye Lines Serum unscented? Thanks. May I use this with Bye Bye foundation? How many ounces are in the Bye Bye Lines bottle? I have combination oily/dry skin. I want to avoid anything that feels oily since it causes breakouts. I also have lines and sunspots. Which one would be betterfor me? Confidence in a Cream of Bye Bye Lines? One of the ingredients is squalane? Is this sourced from sharks? I ordered the Bye Bye Lines and It does require more than a pea sized amount to cover my entire face, neck, and chest area. Do you have any suggestions, as the pea sized amount does not cover the entire face. My bottle is gone after 3 weeks. I was told I should be using products with lactic acid in them to help with line &amp; wrinkles. Can u tell me if your skin care products have this? Is it okay to use Bye Bye Lines with Confidence in a Compact foundation? Since that foundation is a &quot;serum&quot; foundation and Bye Bye Lines IS a serum? And also I am using No. 50 serum as a primer...is that too much? I was a faithful Anti-Aging Armour user. Added Bye Bye Lines a couple of months ago and really like it. I typically mix Bye Bye Lines with a drop of the Anti-Aging Armour. It smooths on beautifully and seems to be working great. Is it OK to combine? I ordered the Bye Bye lines off QVC and it only lasted a month, I went to the stores and you cannot get this product, I called QVC and they cannot change the shipping date, I did like the product but this bottle does not last 90 days using it twice a day. Can I use Serum No 50 and Bye Bye lines. &nbsp;Seems like a lot of product when I add Bye Bye under eye cream and Cinfidence in a cream. I have these really ugly lines under my eyes that i hate, would this help get rid of them?? can I use this product to replace the confidence in a cream, not crazy with the confidence in a cream however, do love it products and trying to replace the confidence cream with something that help dryness and wrinkle I am 58 and live in Co dry country. 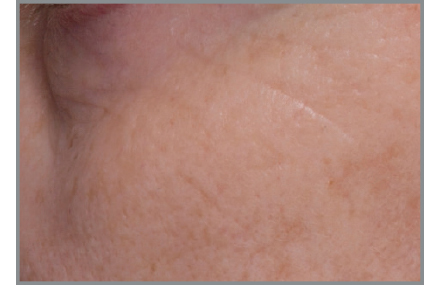 Which of your products would help fade brown spots and reduce wrinkles. I am 64 years old have normal skin type. Can Bye Bye Lines be used in eye area? I also use your new eye cream and confidence moisturizer . What order should I use them? Hi! Will this aggravate Rosacea? Hello. &nbsp;I am 54 and have VERY sensitive skin with light rosacea. &nbsp;If I use the wrong products, my face lights up like a Christmas tree ornament! &nbsp;I use LOTS of IT Cosmetics products including this product, the Bye Bye Makeup Remover blam, the confidence cream, their CC foundation and finishing powders, and my skin never breaks out, burns or turns red. &nbsp;I have been using th balm and confidence cream for about a month now and my skin looks and feels great! &nbsp;It really is amazing for me, because so many products are awful for me. &nbsp;I love this line!! I use Melting Balm , Confidence in a Cream, No 50 Serum Anti Aging Primer, why is this Serum different? I see at least 3 serums to use and my foundation is also supposed to be a serum. Getting confused on how or what to use and in which order? Is this new bye bye lines serum now replacing the #50 or feel the moment? Hello I love your products, I use the Confidence in a Cream, #50 Veil Primer, &amp; I want to purchase your new bye bye lines serum, in what order would I use all of these products together?